 If you require advice on individual case or have an enquiry on vision standards, please email enquiries@aviationvisionservices.com with your question and attach relevant eye reports. Please note that these enquiries will not be answered by telephone and a fee applies for this service. Please be aware that no response to enquiries can be made until payment is received. If you wish to book a clinical eye examination, colour vision test or post refractive surgery assessment, please telephone 07561 453465 to arrange a convenient appointment. Assessments are carried out at Heathrow or central London. Please note that payment must be made in advance of a booking. Cancellation fees apply. If appointment is cancelled or re-scheduled within 24 hours of the appointment, no refund will be available. Any appointment cancelled or re-scheduled between 1-5 working days of the assessment date will be offered a 50% refund. Appointments cancelled or re-scheduled with more than 5 working days notice will not incur any charges and a full refund offered. This latest up to date spectacle prescription calculator will allow you to enter your spectacle prescription and determine whether this meets the requirements for Class 1, 2 or 3 initial certification. Additionally, it will determine if a prescription is acceptable for revalidation and if there are any requirements for submission of periodic ophthalmology forms to an AME. To access SpecCalc, please click here.